When I started this blog , I was trying to write myself out of the blues. My landscape design business was really quiet (post economic meltdown) and I cooked to keep myself busy. Cooking my way to happiness. This week, Thursday, the day the NPR story ran, more than 7,000 of you came by for a visit. It’s more than overwhelming. And I’m more than grateful. I’m doing what I love. 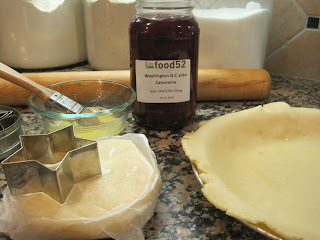 Cooking, tinkering in the kitchen, putting up food, and writing about it. I’m feeling pretty lucky. I have a chance to set off on a new path, now – at age 53? Why ever not. 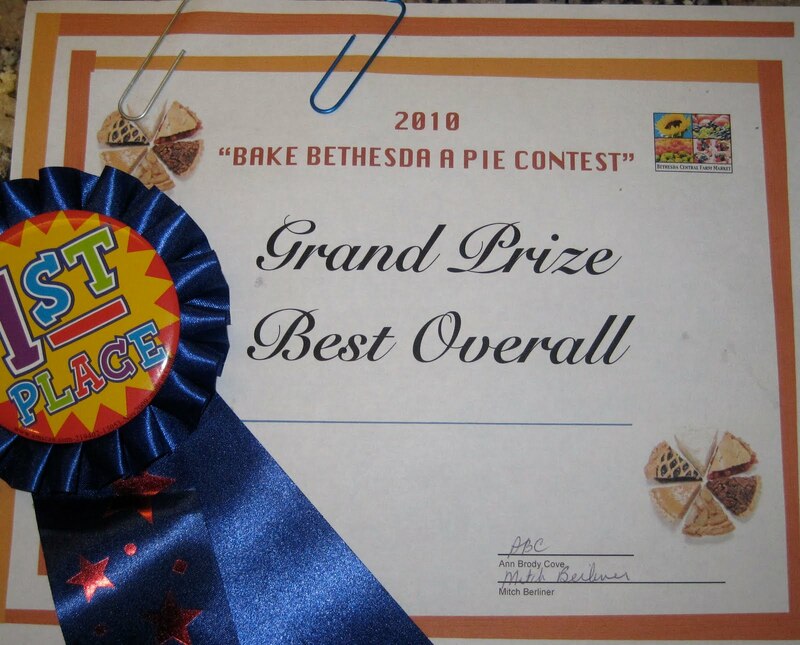 I was standing in line this morning, waiting to enter a Pie Contest sponsored by the Bethesda Central Farm Market. (A fundraiser for Manna Food Center.) It was a great day, the first fall breezes blew through the market in the morning, the end of summer sun warmed everything by noon. 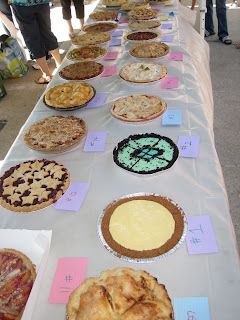 There were nearly thirty pies entered. 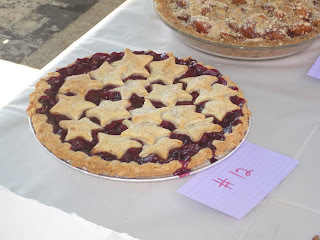 There were beautiful heirloom tomato pies, pecan pies (one chocolate pecan that I would have eaten by myself), an apple pie that smelled deliciously of cinnamon and sugar. A grasshopper pie – haven’t had one of those in years! And many a peach, nectarine, blueberry and mixed fruit. 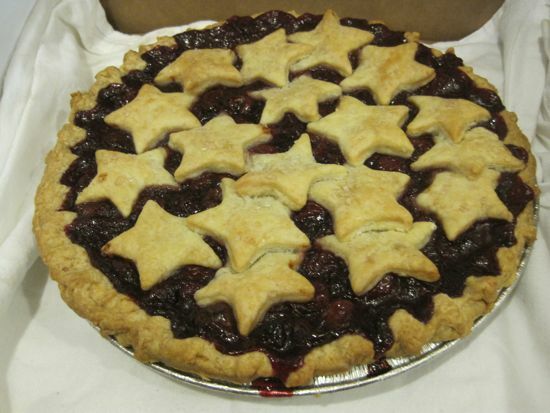 There were double crusts, single crusts, crumbles crusts, lattice crusts, and mine, a sour cherry pie, covered with stars. I used the filling I canned with the Food52’ers last month. Bonnie Benwick from The Washington Post and Carole Sugarman from Bethesda Magazine were the judges and a crowd gathered to watch them sample. I stood with some friends, and some competitors and we watched. My friend’s daughter Leah whispered sotto voce “They’re trying your star pie, now!” and we all laughed. It was such a nice convivial group gathered waiting for the results. And guess what? I won! The Grand Prize – a $100 gift certificate to one of our favorite Bethesda restaurants, Raku and a pretty blue ribbon. I’m a sucker for a blue ribbon. Here’s what I’ve learned in the last few months. It’s never too late to do anything that brings joy to your life. Start a blog, learn to use social media (Facebook and Twitter) which leads to meeting fantastic, warm, generous, people (we’re all ageless on Twitter.) And even enter a pie contest. This couldn’t have come on a better day. It’s our 11th Wedding Anniversary. In a food processor, pulse the butter and flour until it’s sandy and in pea sized lumps. Dump in all the cold water and run the processor until the crust comes together in a ball. No food processor? No problem. Blend the butter and flour with your fingertips (if your hands are naturally warm, cool them under the faucet before you start.) When the flour and butter are sandy and in pea sized lumps, add the ice water and blend with your fingers until it comes together. Turn out on a countertop and press the ball out with the heel of your hand, pushing away from you. Gather the dough, push away again, gather and STOP FUSSING. Form into a disk, even if you think it’s not very homogenous. Chill for 4 hours or overnight. I’m trying to blog my way to the AARP Orlando@50 conference. This blog post is an entry in their competition to find the official blogger to travel to and cover the event. Find out more about the conference here. Congrats on a much deserved win!! sorry I didn't stick around long enough to see the blue ribbon. Enjoy the excitement! Yay for you! What an inspiration – and that pie looks just gorgeous. It's 8:22 in the morning and you are making me cry. I love happiness. Congratulations on your pie and cheers to the happy life that you made for yourself. What a wonderful anniversary commemoration: a 1st place blue ribbon! Congratulations Cathy, on 11 years of marriage, blogging and blue ribbon pies. And, a big WOOT for being 50+ and blossoming! Congratulations, Cathy, on all of your successes: the NPR piece was wonderful, the ribbon well-deserved (and a bonus dinner out! 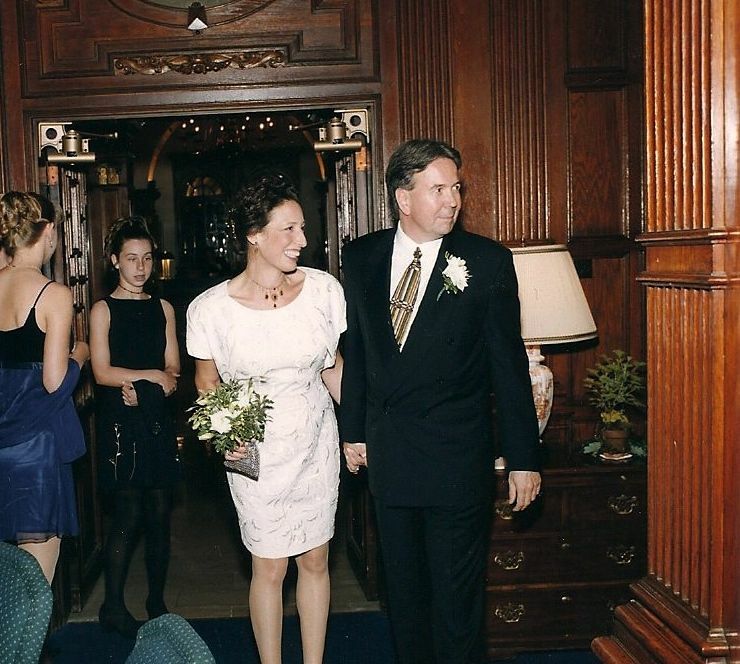 ), as well as your wedding anniversary! This is a lovely and eloquent post. It really never is too late to do what you love! Kudos! Found your blog because of NPR (and the music of the pings). I then proceeded to loose myself in reading deeper and deeper into your archived posts..have now passed it along to our CSA farmers, and posted it on my own blog. Congrats on the win; it's much deserved! When I began my food preservation journey four years ago, I never expected to find a vital online community that I adore as much as my Ohio farming community. So here's a high-five, and warm hug from the fields of NW Ohio…way to go blue-ribbon winner! Your pie looks delicious! 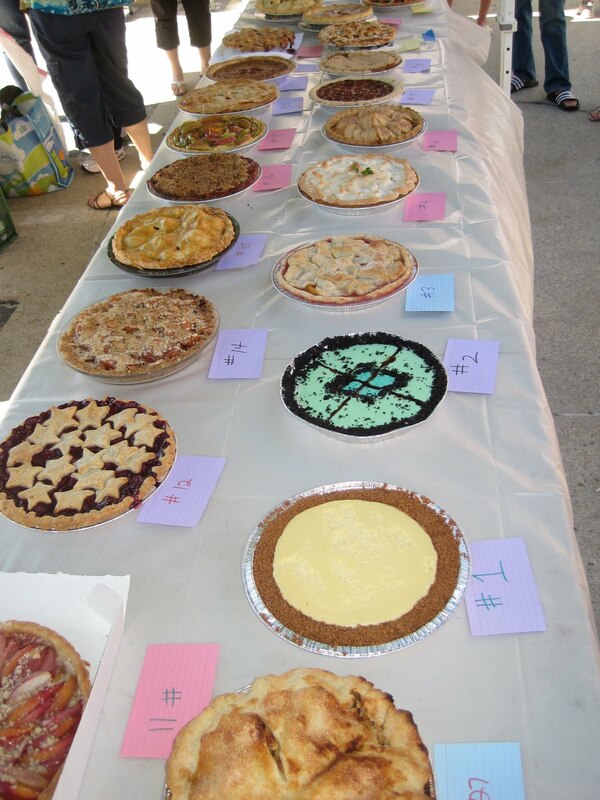 I enter a pie every fall in our community's pie contest. 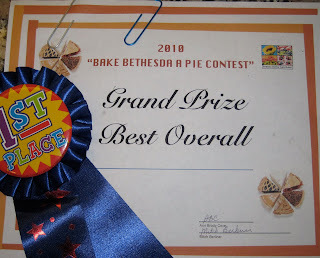 Last year I got a blue ribbon w/ an Apple-Dulce de Leche Pie. Maybe I'll try your recipe this year! Happy anniversary! Congratulations on your blue ribbon. That's awesome. Congrats! That is a great anniversary present, I'd say! Love ths stars. Just read about your pie in the Gazette. Congratulations!! Congratulations Mrs. Wheelbarrow! I first heard you talk about canning on NPR. I am excited and inspired to hear of your blues turned to happiness. Thank you for sharing your real life with strangers. Congratulations! I love when good things happen to good people. I'm so happy for you. Love it! 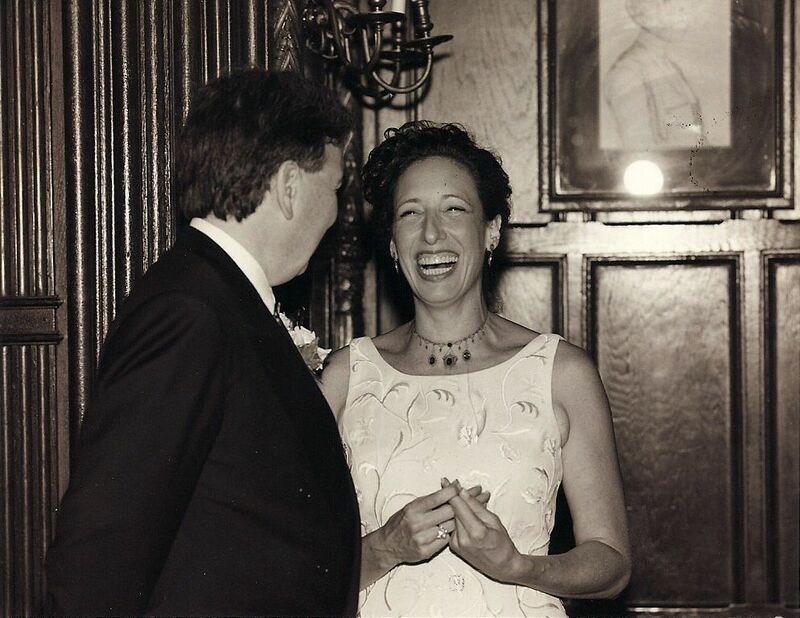 And happy anniversary. I am one of those that came to your blog from the NPR broadcast. My husband listened to it and then had me listen to it since I just had brought home a big box of tomatoes! congratulation on your blue ribbon! That is very hard to do in a pie contest!!! I live in Orlando and hope you get to do the blogging for the AARP conference! Congrats. And I love the direction "STOP FUSSING!" So true. congrats Cathy! I LOVE the pie with the blue ribbon and wish you a wonderful happy anniversary! Congratulations Cathy! Your pie is an stand-out even in the picture. It looks inviting! Wowsa, what a fantastic weekend! Congratulations twice over. It was super easy (other than our funnel being too big for the wee jars we had–sticky mess, but so worth it!) Plus, Miss Chef bought herself a fig tree last week, so your recipe may become a tradition with us. Thank you! the thyme this time. It's pretty overpowering. I didn’t have a canner – my local hardware store wanted $69.00. I "reshaped"
a cake cooling rack and placed it in the bottom of my 10" stock pan to lift the jars the 1"
off the bottom. I also added my rice cooker rack to add a little extra support. I purchased a canning funnel $2.99 and a Jar Lifter $1.99 – genius! I was unable to get an actual example of how to wrap dishtowels in such a away that would keep the jars from touching eachother as well as the sides of the pan – so each jar got a dressing. re: our little jars: We were kind of forced into buying them during strawberry jam season when our usually trusty grocery store had no regular half-pints. I've never seen them before; they're made in Italy (am I silly for never considering Italians did canning??) You can email me at flartus at hotmail if you really want more details; I still have the boxes they came in. Besides being too small for the funnel, they are also not reusable, since regular lids & rings don't fit. But they're gonna be great for gifts! It was so much fun meeting you and your husband and Louie at the market! I was lucky enough to get a slice of your pie after the judging – and I knew as soon as I tried it that it was a winner (I was the one with the nectarine tart). It was delicious – the crust was perfect. I'm looking forward to trying out your crust recipe this fall when I experiment with a pear pie I've been working on. Take care! Hi Jessica, It was nice to meet you, too. Thank you for keeping Louie entertained! I thought your tart was lovely. Hope to see you at the market! A few things to do ahead before the crush of Thanksgiving. Getting ready for houseguests and Thanksgiving. And an easy apricot tart. A meatless Monday chickpea pot pie.